YOU NAME IT WE CAN REPAIR IT! Guitar, Bass, Violin, Cello, Banjo, Mandolin, Lute, Uke and all Brass & Woodwind instruments. Our repair team work hard on ensuring you're instrument is returned back to its optimum playing condition! 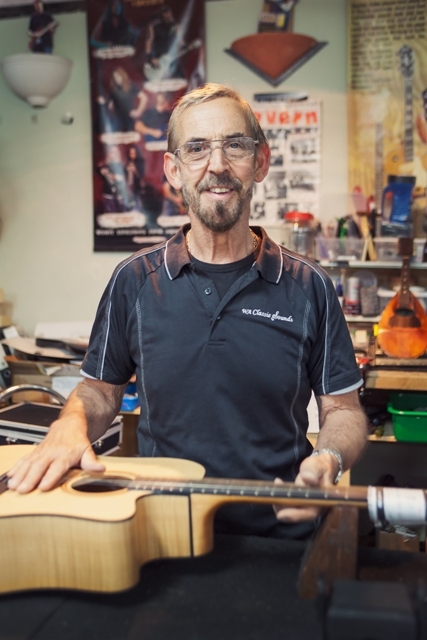 Our senior repair technician, Morley John, has studied under world renowned luthier John Carruthers in the USA, so you can be assured that your instrument will be in good hands. Prices can vary if additional work is needed. Quotes are given on work needed, in addition to the above prices. NOTE: Minimum Service Charge on all items is $25.00.